The ultimate pilgrimage to Paddy’s house in the Mani? If you wanted to make a trip to see Paddy’s house at Kardamyli and to visit the wider Mani this may be the one for you. In the company of Paddy’s biographer, Artemis Cooper, this six-day tour will take in Mistra, Monemvasia, and Paddy’s house in Kardamyli, as well as other sites in the Mani. This tour has been arranged by Art Tours (sponsors of the Royal Geographic Society event about Paddy 24 Oct) and is designed to celebrate Paddy’s life, whilst exploring the dazzling, rocky region he loved best in Greece, and where he and Joan lived for over forty years. It is a celebration of his life and travels and is planned to run from 7-12 May 2013. Artemis will bring a unique insight into Paddy’s life and personality, and to cover the wider history of the region she will be joined by art historian James McDonaugh. 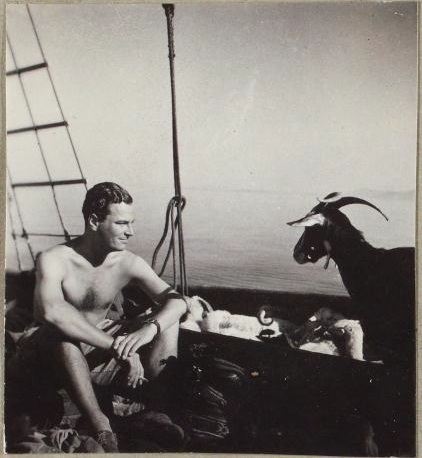 This entry was posted in An Adventure: Paddy's Biography by Artemis Cooper, In Paddy's Footsteps, Mani, Paddy's Houses and tagged An Adventure, Artemis Cooper, Greece, Joan Leigh Fermor, Kardamyli, Mistras, Monemvasia, Patrick Leigh Fermor on October 14, 2012 by proverbs6to10.